A natural disaster can only strike once to do great damages to your building or home, thus having building insurance will enable you to repair damages without costing you a lot of money, maybe even nothing. Then there are accidents, like flooding, that can also cause extreme damage to your building. Are you prepared for unexpected things like this? Will you be able to repair the costs out of your pocket? 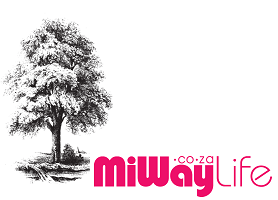 What Does MiWay Building Insurance Cover? Why Should You Consider Building Insurance From MiWay? Save on premiums when you purchase building cover online. You can manage your claim online. You get emergency home assistance for free. You will get accommodation if your home or building is unfit to live. What Additional Benefits Do MiWay Offer? You can add to your plan extended cover for things like theft and wear-and-tear coverage. It is wise to add this to your policy due to the high crime rate in South Africa. MiWay is one of the firms that will provide you with value for your money. So, do not hesitate to request quotes here!